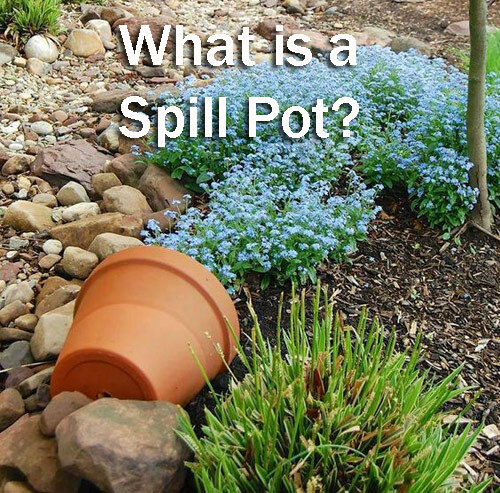 What is a "spill" pot? 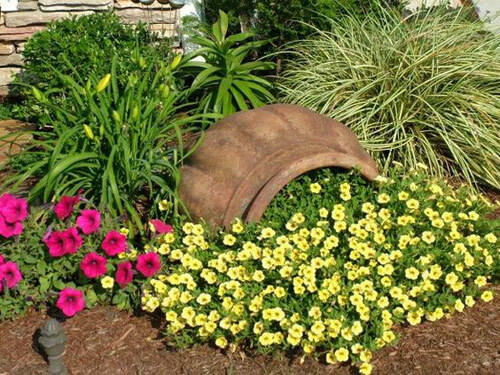 Well to us here at Arizona Pottery it is a garden planter that has been turned on it's side, placed on the ground and has flowers or grass growing out of it. 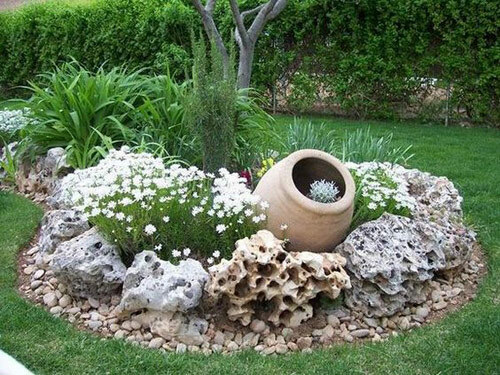 It's a garden container that looks like it has flowers, or colorful grasses spilling out of the inside onto the ground surrounding it. The look that we are referring to is not something new in the gardening community. Turning a flowerpot on it's side has been around for a long time. We just wanted to show you some of the great designs that we are seeing resurface online. 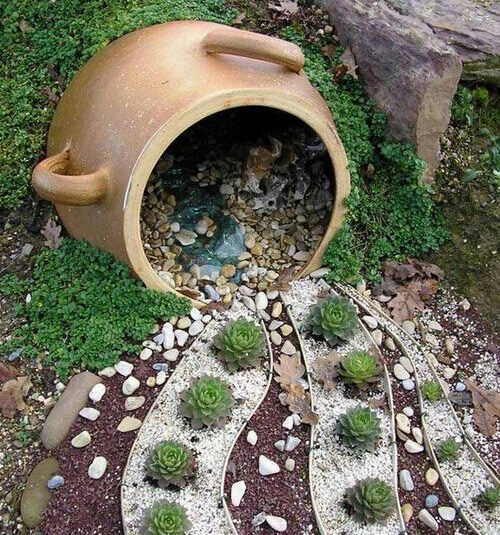 If you have a large yard and would like to mix it up a bit we think adding a "spill" pot to the landscape can create a unconventional look that is both interesting and functional. Some of the designs we are seeing have the pot completely filled and overflowing with plant materials. While other pots have just a few coming out the mouth of the planter. Many planters only spill for a few inches while others have plants flowing out for many yards across the ground. Of course it all depends on how much room you have and what kind of design you are looking for. 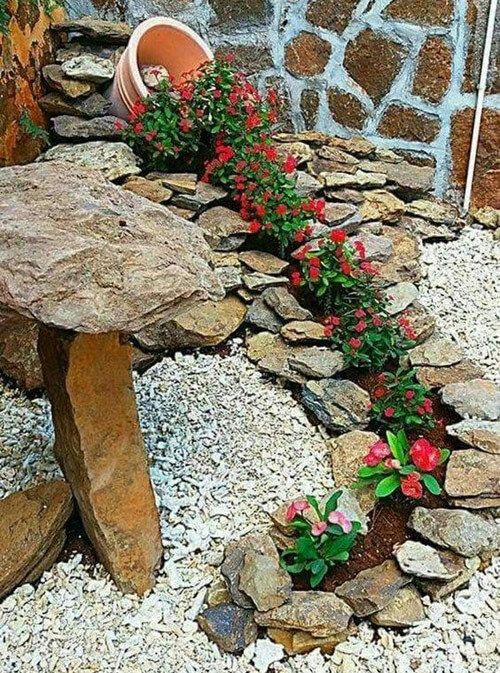 Do you like green succulents and cacti spill out or would you prefer lots of colorful blooming flowers? Now is the time to get creative and have fun. We recommend you stand back and think about what you need when it comes to the size of the planter and then choose the plant materials accordingly. Don't use tiny small flowers in a large wide mouth landscape pot. If you like tall ornamental grass spilling out then maybe a large pot is necessary. Ask yourself if you like a water jar shaped pot that looks like it has blue flowers spilling out like a liquid. 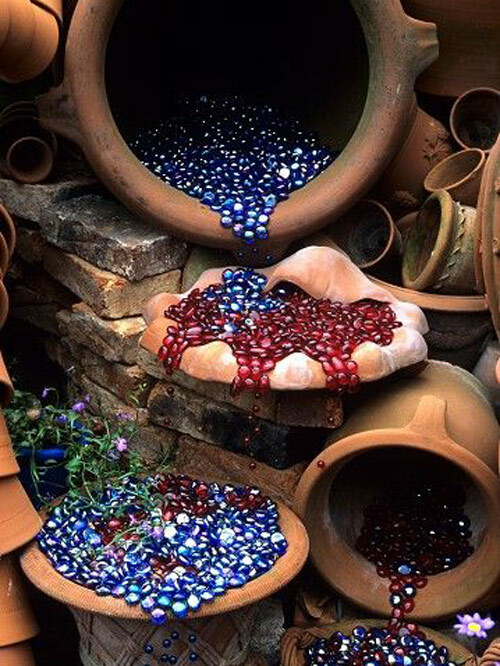 Maybe this is the time for colored glass beads or painted stones. So, now you know what a "Spill" pot is. If you give this idea a go share with us your photos. We would love to see them. [Read More] Need a reason to eat your own home grown strawberries?